Hi I'm Jean Maurie. Welcome. Are you ready to live the life you always dreamed of? Are you ready to open the door and take a walk with me to become the vibrant, powerful person you are meant to be? If so, you've come to the right person. We can co create together to help you find your joy of living again. Are you ready to live the life you always dreamed of but were too busy raising your family, taking care of others or working too hard to be able to do what you always wanted? Are you ready to create a revolution in your life , take the lid off and become the vibrant, powerful person that is within you so ready live the life you always dreamed of? If you feel your soul is aching for more possibility and joy, more fulfillment and creativity in your life but don't know how, then you've come to the right person. Your angels and mine and you and I will co-create together to help you find your joy of living again! I have a lot of tools in my toolbox for us to co-create with. Here is my consultation/reading page to choose what speaks to you. 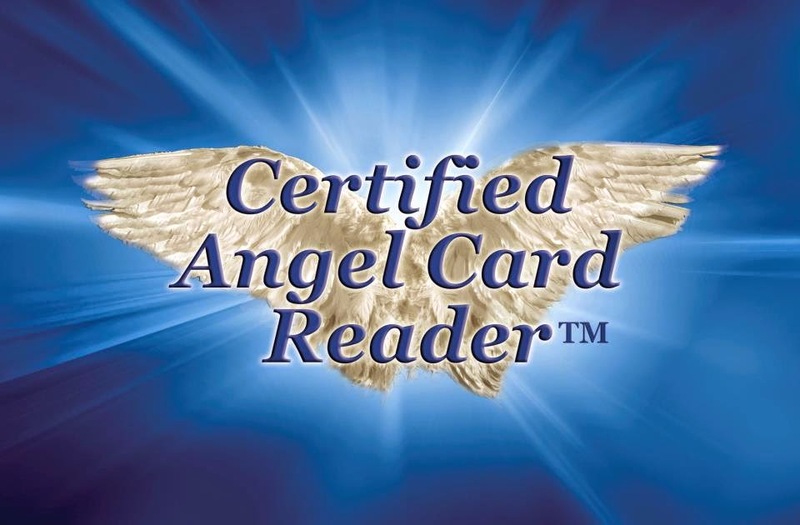 I am am also a certified angel card reader/messenger and learned how to tune into my intuition while reading cards. Would you like an angel card consultation/message? If so, here is where you can order it. Click on the down arrow here to see what I offer. I will send you your angel card consultation/message via email within 24 hours and usually sooner after receiving your order. For more about me, my bio and what else I offer read below. Is panic or anxiety keeping you from living the kind of life you'd like to live? If so check out my video. I am a tapping coach mentored by Rick Wilkes of Thrivingnow. I can help you release anxiety and stress with tapping. Also if you feel blocked or feel stuck with your goals. I can help. Tapping sessions are available through Skype or phone. For people who have never tapped before the first session would be better on Skype so I can show you the tapping points and of course I will tap with you. If tapping doesn't speak to you I am a certified life coach, Astrologer, Tarot card and Destiny card reader, Psychic and certified Angel card reader. I have many tools to help you. I offer phone, Skype and email consultations and readings. Live chat readings and consultations are available now. I do a lot of readings on my facebook page in private chat. You will be able to copy and paste your reading from there too. You can email me at jeanmaurie@angelsloveyou.com if you have questions about my readings or if you want to see if I'm available to come online for your instant paid chat reading. Jean’s capacity to listen and to notice deeply is just amazing. As a transformational coach Jean has the solid experience of having transformed her own life in dramatic ways: from life-long agoraphobic fears and panic attacks to a joyous, curious and loving woman so young at heart. Her intuition and kindness are wonderful adjuncts to her skillful use of energy modalities of all sorts. You can absolutely trust her. I have and I do. I am glad she has been in my life since we met six years ago. Magazine Radio Network and you can click on the > in the white area to listen. Visit Psychic, Astrology, Tarot 4 You's profile on Pinterest.